Having a proper desk can make your life much easier; many of us do spend a lot of time working behind our desk in anyways. 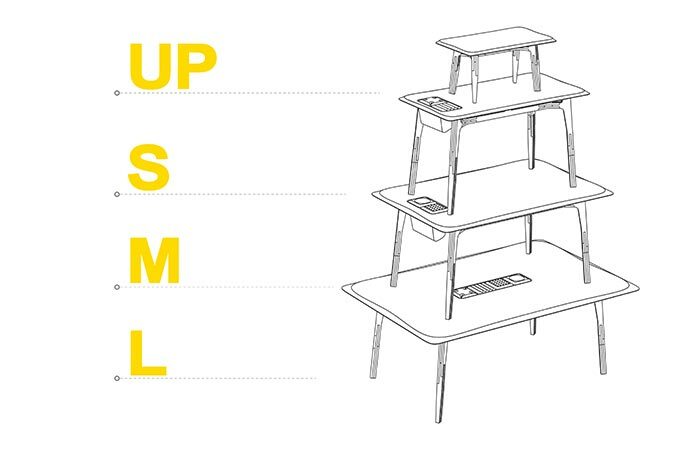 By having a modular, multifunctional desk, it can greatly help you with your work load and your organizational skills. Well, that was exactly what the guys at Upscaling Operations (UPSOP) were thinking when they designed their Butterply Multifunctional Plywood Desk. What makes the Butterply unique, apart from it being modular, is the fact that it can be set up in less than a minute without any hassle or screws. However, that’s only scratching the surface. 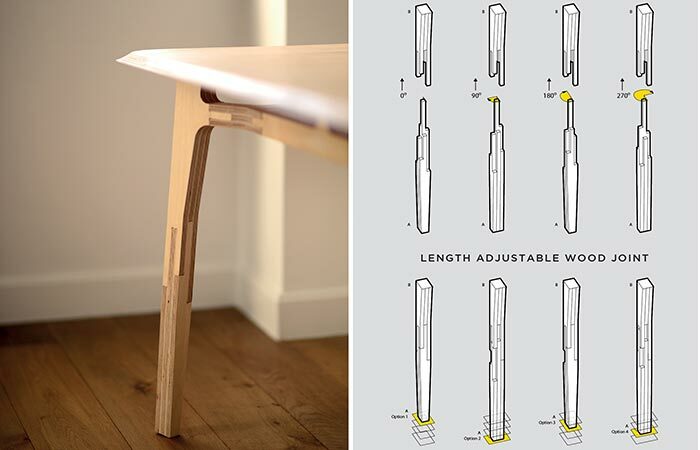 The Butterply desk uses an advanced wood binding technique which means that you never need screws or glue and it can be set up in a minute. The desk itself comes in 4 different sizes – UP, Small, Medium and Large – and you can also purchase additional flexible module organizers. Don’t miss out on the Introduction video below. The leg height of the Butterply is completely adjustable as well and it gives you 4 different options by simply rotating and inserting the legs into the pre-machined slots. 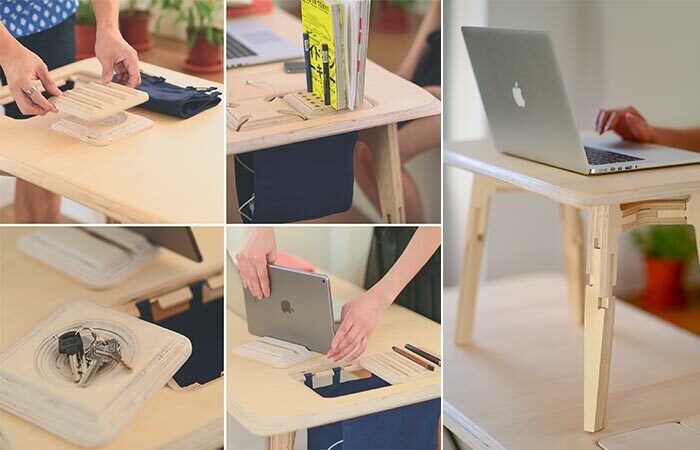 The main features that the Butterply has to offer is that it sets up in a minute without the need for glue or screws and by incorporating this advanced wood binding technique, you can actually optimize your desk height by simply rotating the legs and inserting them at 0⁰, 90⁰, 180⁰ or 270⁰. Each of these gives you a different height which means that even if the legs are unbalanced by a few centimeters, it can be balanced out. 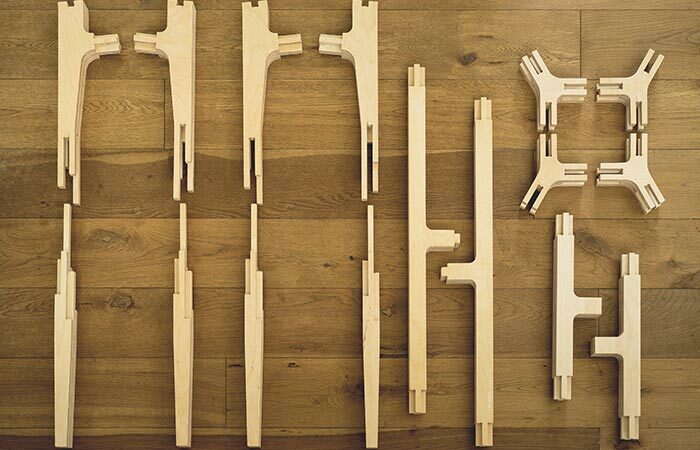 On the left, you can see the different modular organizers that make your desk all the more efficient. However, if you’re standing in the kitchen and just need some space to place your laptop or recipe books, then the Upstand desk is perfect, as can be seen on the right hand side. At the moment, there are 5 different modular organizers available with more being unlocked as funding increases; these modular organizers include a cable manager, customized book stand, iPhone/ iPad stand with two angles, a stationary holder and a coin tray. The Butterply comes in 4 different sizes that were built to suit each of your needs. To make it even better, each Butterply features an incredibly comfortable ergonomic edge so that you can rest your wrists in ease. The materials are reliable and sustainable and you can choose between a dark Chestnut stain or a natural Birch color.